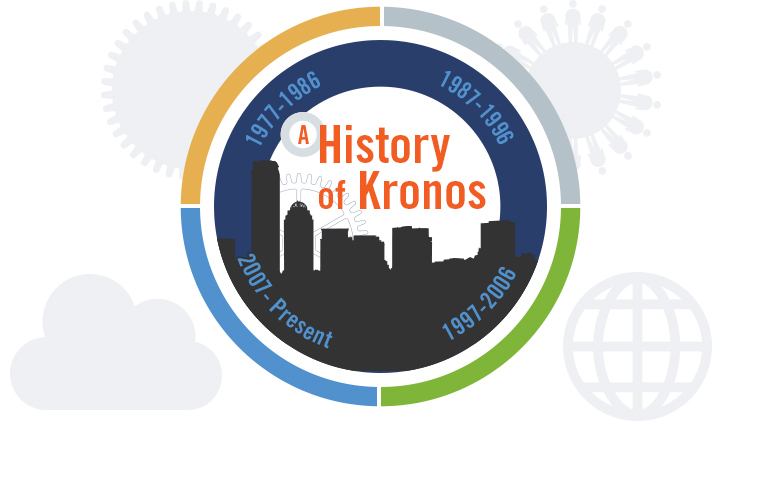 Happy 35th Anniversary to Kronos! Today we celebrate the 35th anniversary of Kronos. If you’d like to learn more about that history, click here to check us out. You can read the latest and greatest from our press and bloggers here. My Team – hard workers and a pleasure to work with – every one of them! My Colleagues – the culture of this company is one of teamwork, first and foremost. I rely on and learn from my coworkers every day. My Boss – Smart, results-focused and a sense of humor. My kind of guy. My Work – variety, intellectual challenge and the opportunity to impact the success of the company. I’m as engaged as I could possibly be. They didn’t fire me on my first day – On my first day at Kronos I was late – TO A TIME & ATTENDANCE COMPANY – and nobody gave me a hard time about it. Happy anniversary, Kronos. And thanks for having me. I didn’t know you were late. I would have mentioned it.